There is a huge industry in t-shirt design. If you’re clever enough to create something that taps the right trans-dimensional “frequency” defining collective taste, you could be a millionaire by the end of the year. But that’s not the only reason to make or appreciate t-shirts. Let’s look at at a number of designs that really strike a cord with people. 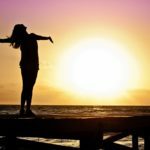 Whether they’ve tapped into some Jungian collective unconscious, a modern zeitgeist, or some natural expression of human biology is hard to tell. But you’ll notice there are commonalities between them; and putting such commonalities to use in your ownt-shirt designs may ultimately prove profitable. A final note: you’ll be able to picture most of these t-shirt designs in your mind’s eye without any images; and that is likewise significant in their overall effectivity. You can see it now, can’t you? Those crimson lips and that obnoxious sensualized tongue. This t-shirt design captures something lustily animal in its portrayal of a human mouth. Additionally, it seems to reflect the pathos underlying The Rolling Stones. You can definitely imagine Mick Jagger had a say in the design of that symbol. The takeaway? This shirt design does several things. 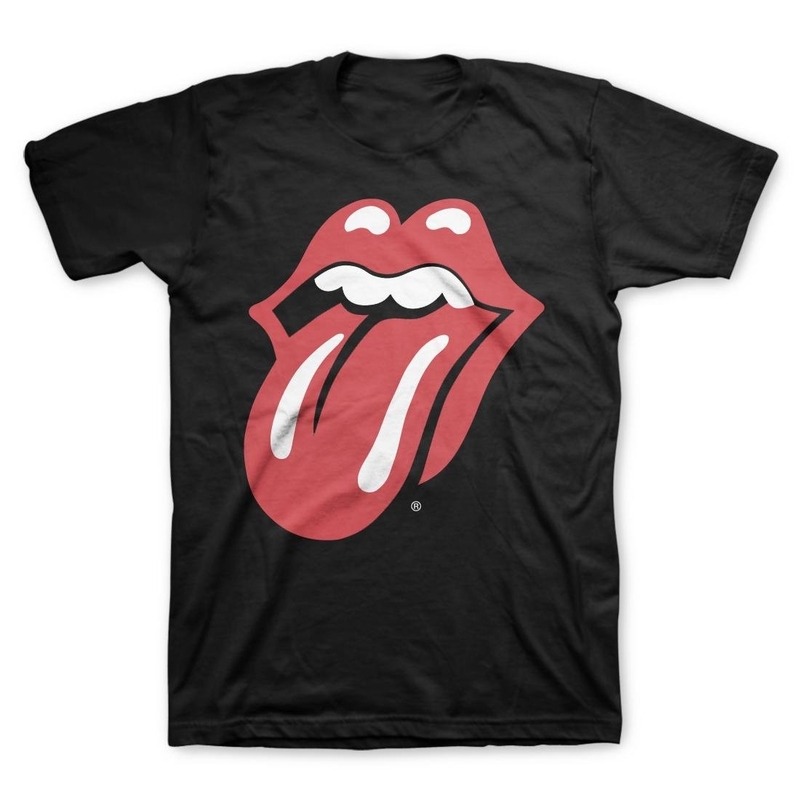 One, it is representative of the band in an archetypal way—the sensuous tongue and lips reflect the band’s core ideals. Two,it’s evocative to the viewer because it taps into a sensuous side of humanity. Three, it’s easily recognizable. Again, this is a t-shirt you can see without a picture guiding your mind. It is the letter “I”, followed by a red heart, followed by “N” and “Y” in reference to New York. Usually this is in a square pattern in the center of a t-shirt, but the iconic message—nearly hieroglyphic in its pictorial simplicity—resonates. 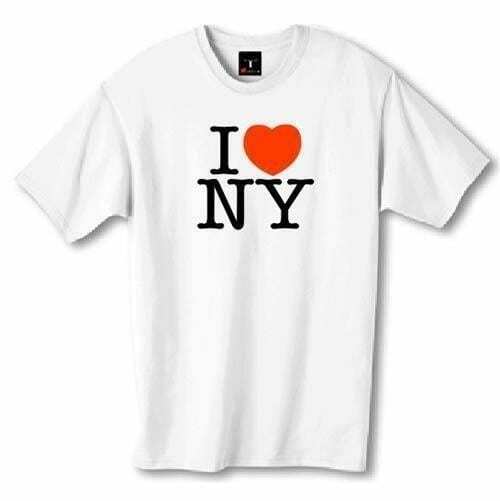 It resonates with New York City, as the city in particular is what the tee hearkens to. But the viewer is also drawn along to see why it is people love this city so much. If you’re in a city that hasn’t managed to capitalize on such a t-shirt design, you might look into that. You don’t have to think too hard; you could just do the same thing but change the “heart” to another symbol. A coffee cup could represent Seattle—you get the idea. 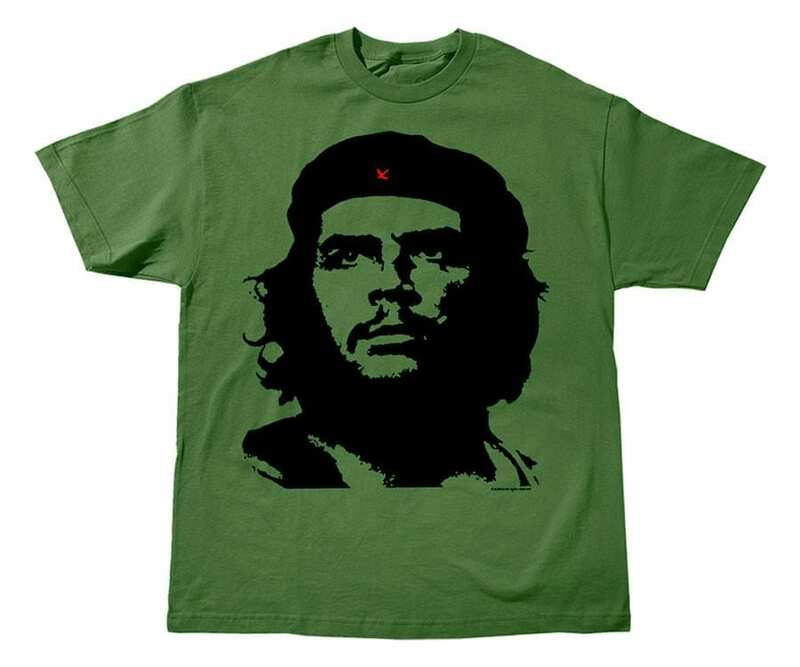 Nobody really knows who “Che” is. It turns out the nickname is a colloquial equivalent of “um”, or “uh”. So “Che Guevara” in English may be rendered as something like “Um Robertson”. The man was a bit brutal and his rise to pop-culturalstardom is in the eyes of many unjustified. Now people wear his face on t-shirts across the developed world. Many don’t even realize the guy was a socialist guerrilla revolutionary. Certainly you’ll find someone who thinks Che was the lead singer in a band, or something of the kind. He looks intense, he’s trendy. The lesson here? It doesn’t matter what your t-shirt design is if you can tap into the right trend stream. 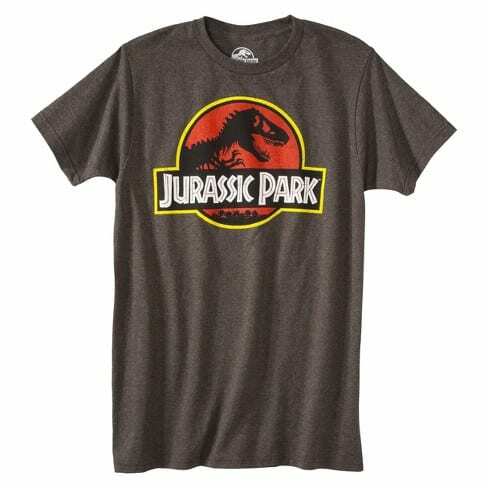 The t-shirts for Jurassic Park are so pernicious, if you don’t have one, you’re likely going to get one before you die. The movies keep coming out, people love them. Dinosaurs and action are a match made in heaven, and transcend age barriers. This t-shirt design is popular because of the film that inspired it. 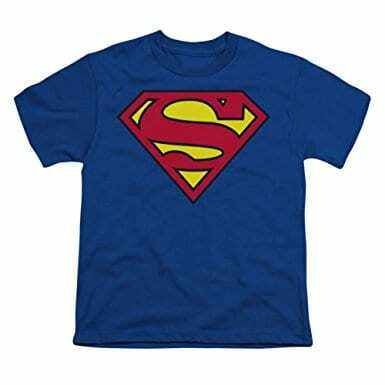 Create a product, services, or piece of art that resonates with the public, and you may be able to find success just by putting the associated logo on a t-shirt design. This is evocative, and like the other items on this list, mentally visible even if you can’t see the t-shirt design in front of you. It is popular among men, women, and children. It’s in basic colors, and is a basic symbol which represents something much bigger than the wearer. Also, people love the comic book character and like to “represent”, as it were. Many have used the t-shirt design for fundraisers, particularly for premie’s and pediatric cancer – showing off just how strong those battling difficult issues at a young age truly are! This is a t-shirt design idea you can take full advantage of, because the “X” and “Y” variables determine uniqueness. We’ve all seen these. They’re slightly self-referential, making fun of t-shirts while still being t-shirts. This has a broad appeal to the current comedic sensibilities of today’s working generation. Every kid in the US has probably received one of these babies from their grandparents or parents as they have traveled around. You’ll find them in every rest stop and tourist trap in the US. The “Chive”, which is short for “archive”, is an online website that catalogs some of the most hilarious, salacious, and sensuous moments on the web. People in white collar jobs surf this website regularly when there is downtime. 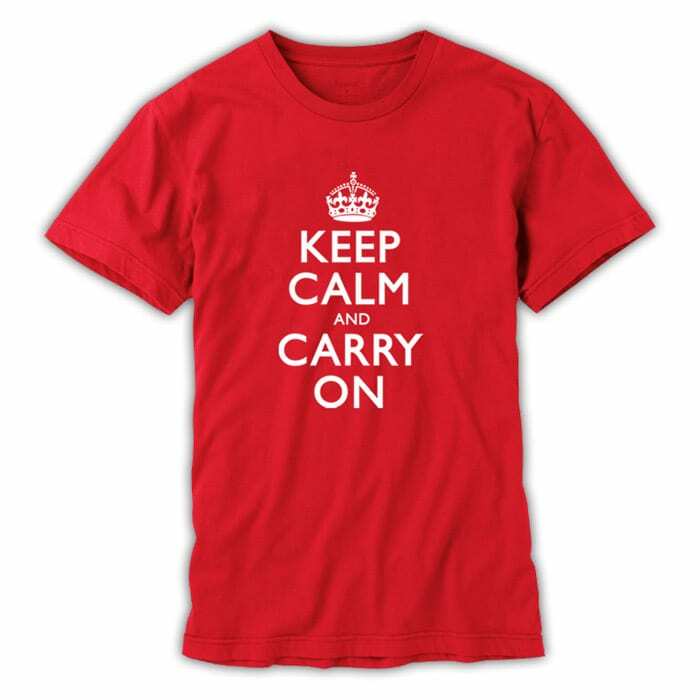 Originally, a crown atop the vertically represented phrase “Keep Calm And Chive On” made rounds in trendy fashion circles. Eventually “Chive” was changed to “Carry”, and now people substitute whatever they want to in the slot right before the last word of this favorite t-shirt design. You can as well. This is another instance where popularity in one area of culture bled over into another—but instead of a film or comic book character, this time it happened through a website’s popularity. 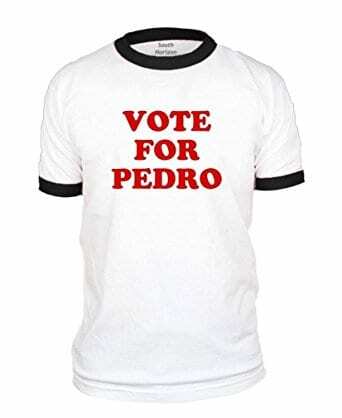 Like the Jurassic Park and Superman shirts, “Vote For Pedro” hearkens to a film. In this case, the surprise hit Napoleon Dynamite, which concerned the exploits of a ridiculous conglomeration of socially awkward people, and as of the present time may have produced a sequel. Again, the t-shirt design is simple, iconic, trendy, and representative of a specific piece of pop culture with which wearers have close affiliation. Schools all over the country have switched out “Pedro” for various names during student elections, and more. A yellow circle with two dots for eyes and an upside-down arch for a smile—that’s it. 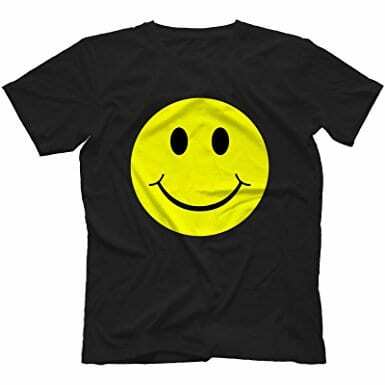 Sometimes the whole shirt is the smiley, sometimes the smiley is centered on a white background, sometimes on a black background. Simple, evocative, trendy, immediately communicative of a mindset—in short, this t-shirt is like the others on this list, though in its own unique way. With a slight twist, you can capitalize on this—just stick your logo beneath the smiley, or some funny catchphrase. Play your cards right and it may catch on like the Chive. 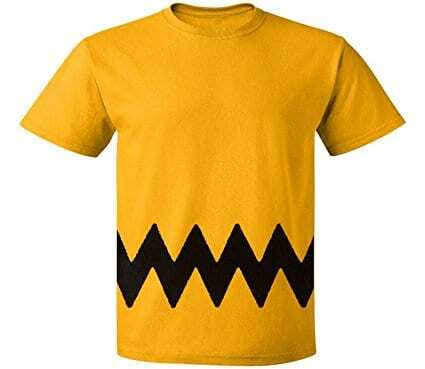 Charlie Brown had a very simple shirt he wore in practically every comic strip where Charles Shultz decided to feature him. 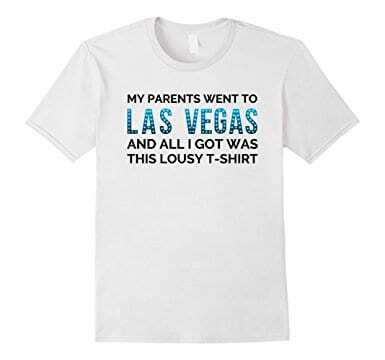 That same t-shirt design became popular later on, and now it’s expected that you’ll see a shirt like this in a mall, or other big public event. It is like the others on this list: simple, memorable, easy to visualize, trendy, popular, and something someone would want to wear. You’ll find it on the front of t-shirt designs for fundraising and more. One of the best t-shirt making companies is The Tee Hive, who makes it their mission: “…to give you exactly what you want for your school, event, sport, business, or if you are just looking for that one special design.” If you inform the design you send to t-shirt makers like this, you may be able to start a trend which not only advertises you and what you do, but is itself lucrative. Still, you don’t have to make a t-shirt for the purposes of profit, or for anything more than your own preference. 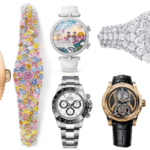 Today’s custom options are essentially endless, and you can exploit a lot of potential design options as they suit you. Happy Socks SO Cool You Won’t Want to Take Them Off!